Application of external magnetic field in electrical discharge machining is one of the methods to increase this process capability and decrease its limitations. In the present study, a single discharge in magnetic field-assisted electrical discharge machining has simulated using finite element method in order to obtain the temperature distribution and generated crater dimensions on the workpiece surface. A new mathematical model for plasma channel radius was also developed and used at simulation stage. Regarding good agreement between recast layer thickness obtained by numerical and experimental methods with maximum error of 8.8%, the effects of applying external magnetic fields on plasma flushing efficiency and recast layer thickness were found numerically and experimentally. Also the influences of pulse current and pulse on-time on dimensions of generated craters at magnetic field-assisted EDM were studied numerically. 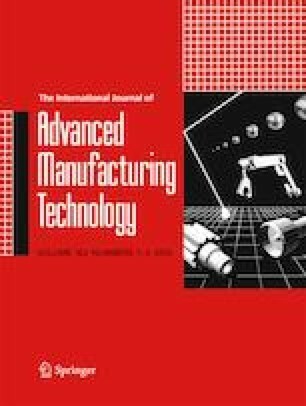 The results showed the positive effects of application of external magnetic field in EDM process on increasing plasma flushing efficiency and decreasing recast layer thickness.